Once the lint has been separated from the seed and has been spun into yarn it is sent to the knitting house. 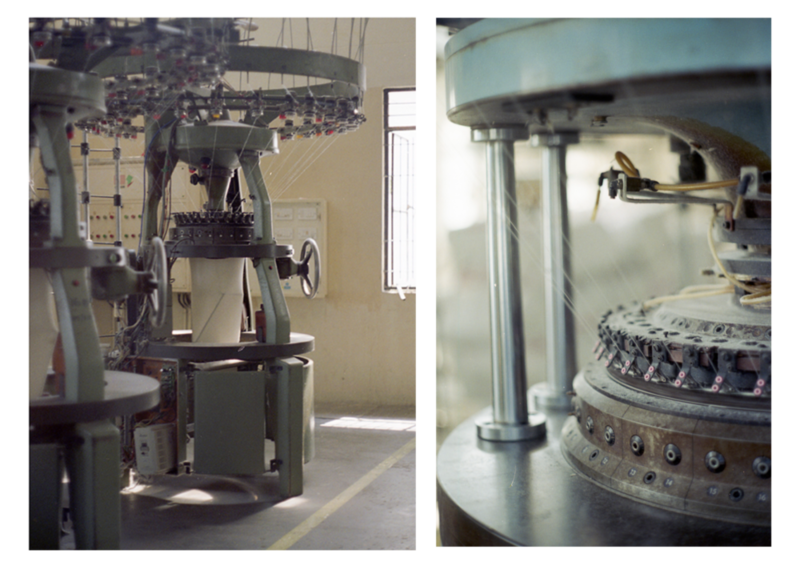 The Shakthi Knitting Unit in Tirupur, where our organic cotton jersey comes from, is in the south of India and is only 40km away from MILA, the fair trade factory we are using to cut and sew PICO’s pants. MILA and Shakthi have a long-standing working partnership. 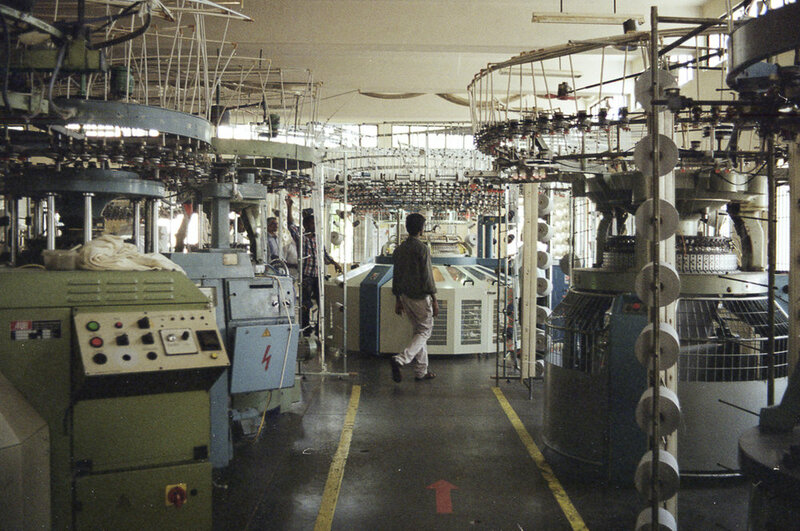 The intricate knitting machines are made up of a multitude of bobbins, 95% of which are wound with organic cotton yarn, and the remaining 5% with elastane to give the fabric the added stretch needed for comfortable underwear. The knitting machines are circular to create tubular lengths of fabric, and have a funny resemblance to Daleks on the set of Dr. Who! Once threaded up by hand, they run happily on their own under the watchful eyes of the workers. The knitting unit produces both organic and Oeko Tex fabrics and has a Grade A WRAP certification (Worldwide Responsible Accredited Production) which means that they are dedicated to safe, lawful, humane and ethical manufacturing.